The Yard is the freshest new space this side of town. 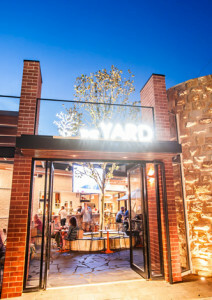 A brand new unique indoor/outdoor space, The Yard is a popular destination offering the perfect spot for a get together with big screen TV, open fire, our unique cooling system, giant board games and live music Friday nights. 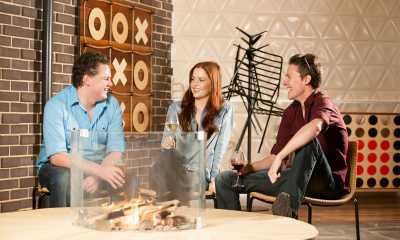 With full bar access, The Yard boasts ample shelter including seating around our nine metre London Plane tree and during the winter months nestle around our fire pit or feel the warmth from our heaters. Love it live? Watch the game live and loud on our giant TV screen in The Yard. Gather your mates and order a share board and a few cocktails to top it off.